ALDERSON, Sir EDWIN ALFRED HERVEY, army officer; b. 8 April 1859 in Capel St Mary, England, eldest son of Edward Mott Alderson and Catherine Harriett Swainson; m. 5 May 1886 Alice Mary Sergeant in Brackley, England, and they had a son; d. 14 Dec. 1927 at Lowestoft, England. Edwin Alfred Hervey Alderson, whose father was a veteran of the Crimean War and a lieutenant-colonel of the 97th Foot, grew up in a family dedicated to hunting and field sports. At 17 he was a subaltern in the Norfolk militia artillery and two years later, in 1878, he was gazetted to his father’s old unit, soon to become the Royal West Kent Regiment. Alderson joined it at Halifax, N.S., and followed it to Gibraltar and then to South Africa, where he was detached to the Mounted Infantry (MI) depot at Laing’s Nek. Improvised for each campaign, the MI acquired a cadre of ambitious officers eager for service away from their regiments. Alderson saw action in Egypt in 1882 as an MI officer and in 1884-85, in the Sudan, he served with the Mounted Camel Regiment in the desperate but unsuccessful bid to save Major-General Charles George Gordon. For rescuing a soldier from the Nile in 1885 he won a medal from the Royal Humane Society. Alderson was promoted captain in 1886 and appointed adjutant of the MI depot at Aldershot, England, which gave him sufficient status to marry a daughter of the vicar of Chesterton, in Oxford. He served with his old regiment as adjutant from 1890 until he entered the Staff College at Camberley in 1894. After passing out the next year as a major, he returned to South Africa to command the MI in the suppression of the Matabele revolt of 1896 and, as a brevet lieutenant-colonel, he commanded all the troops in Mashonaland. He returned to Aldershot as deputy assistant adjutant-general, in charge of the MI. Garrison duty gave Alderson the leisure and incentive to write With the Mounted Infantry and the Mashonaland Field Force, 1896 (London, 1898). Mounted rifles, he argued, were not cavalry, but rather picked infantry who were good shots, “with extra means of locomotion.” Having inherited his father’s passion for the chase, he hunted with the Shorncliffe Drag, the Staff College Drag, and, in Africa, the Cape Jackal and the Salisbury Hounds. In his most popular book, Pink and scarlet: or hunting as a school for soldiering (London, 1900), he insisted that hunting, with its demand for courage, quick decisions, and an eye for terrain, was ideal training for a young officer. The South African War pitted a nation of mounted rifles against Britain’s entire army. Alderson arrived in early 1900 to command a brigade under his friend and fellow MI enthusiast, Edward Thomas Henry Hutton, former general officer commanding the Canadian militia. 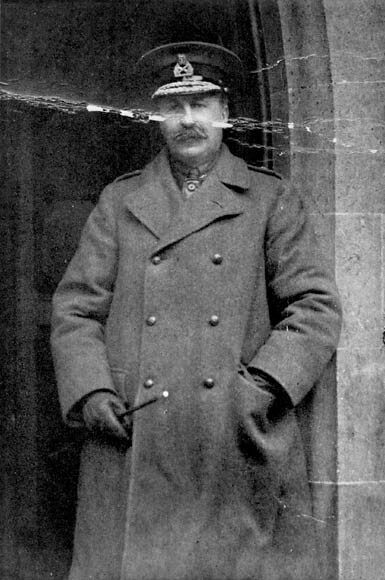 Two battalions of Canadian Mounted Rifles served under Alderson, and the commander of the 2nd CMR, Thomas Dixon Byron Evans, found him far preferable to the tactless Hutton. In 1901 Governor General Lord Minto [Elliot*] tried without success to bring Alderson to Canada as GOC. By the end of 1901, as a brevet colonel, Alderson was inspector-general of mounted infantry with the rank of brigadier-general, a cb, and an aide-de-camp to Queen Victoria. Promoted to the substantive rank of colonel in 1903, for four years he commanded the 2nd Infantry Brigade at Aldershot. In 1906 he was made major-general and from 1908 to 1912 he commanded the 6th (Poona) Division of the Indian army. Then placed on half pay, he could look forward to hunting and his new enthusiasm, yachting. He was about to become master of foxhounds in the South Shropshire Hunt when war broke out in Europe in August 1914. Newly promoted lieutenant-general, Alderson met the Canadian Expeditionary Force as it disembarked in England in October. In dealing with the aggressive Hughes, who had preceded the CEF, his tact would be sorely tested. The minister insisted that his contingent was perfect; Alderson found it ill-equipped and untrained, with many weak officers. In a few cold, rain-sodden months on Salisbury Plain, he did what he could to put things right, dismissing some of Hughes’s chosen officers and replacing useless Canadian-made equipment with British issue. Inadvertently he made an enemy of Hughes’s representative in England. Appalled at conditions in the camps, Colonel John Wallace Carson persuaded the War Office to kick British troops out of their barracks and give them to Canadians. Opposed to such special treatment, Alderson refused the privilege. Carson, who did not forgive this embarrassment, complained to Prime Minister Sir Robert Laird Borden* in January 1915 that Alderson “does not treat our men with a firm iron hand covered with the velvet glove which their special temperaments require.” Although at the outset 70 per cent of Alderson’s division was British-born, Canadian soldiers were different, largely because of their officers, who for the most part were not as powerful or as respected as was the case in British regiments, where class perhaps as much as competence served to maintain discipline. In February the 1st Canadian Division moved to France. 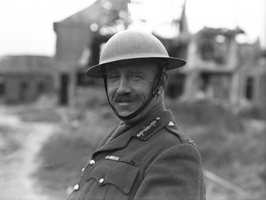 After a quick introduction to trench warfare, Alderson’s division played a minor diversionary role at the battle of Neuve-Chapelle and then moved up to the Ypres sector in Belgium under another general who knew Canadians, Sir Horace Lockwood Smith-Dorrien of the British 2nd Army. They were between an Algerian division and the British 28th when the Germans unveiled poisonous chlorine gas on 22 April. In a few hours, as Algerian soldiers fled, choking, the Canadian left flank was exposed. The Germans hesitated, and Alderson sent what reserves he controlled to help Brigadier-General Richard Ernest William Turner*’s 3rd Canadian Infantry Brigade close the gap. Counter-attacks that night and the following morning were valiant disasters. More British troops were poured into the mêlée until Alderson struggled, from his chateau behind the Yser Canal, to manage as many as 33 battalions along a six-mile front. The French promised aid but it never came. On the 24th the Germans switched their attack to the Canadians. 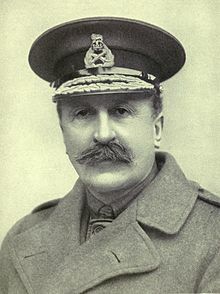 Turner’s brigade was destroyed and Brigadier-General Arthur William Currie*’s brigade bore the brunt of holding the line. Alderson’s efforts to organize support were contradicted by local British commanders. His headquarters was now farther back than that of the 27th British Division and was less in touch with the battle. By the time the Canadians were withdrawn, more than half their infantry strength had been lost as dead, wounded, and prisoners. 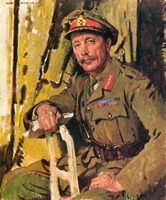 Some days before, in the thick of the battle of Festubert, Sir Douglas Haig, commander of the 1st Army, had created a temporary corps (“Alderson’s Force”) from the 51st Highland and 1st Canadian divisions, and told Alderson to advance 600–1,000 yards against points almost two miles apart. Inadequate shelling, German machine-guns, and objectives that were hardly more than points on a map cost 2,468 Canadian casualties with little gain. At Givenchy-lez-La Bassée a month later, Alderson applied the lessons, but a heavy barrage warned the Germans, a mine destined for a German strong point did more damage to attackers than defenders, and, despite 366 casualties, no one got close to the clearly marked objective. This result did not harm Alderson at general headquarters. 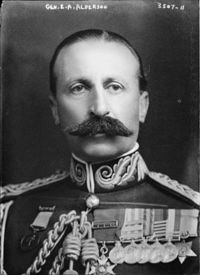 When Canada proposed to add a second contingent, to form a new corps of two divisions, the British commander-in-chief, Sir John Denton Pinkstone French, agreed, provided Alderson was corps commander. Borden too was pleased: in the summer of 1915 he found this dapper general with the bushy moustache to be honest, able, and popular with his men. In September the new corps commander opened his headquarters at Bailleul. Stung to rage, Hughes accused Alderson of utter ignorance of rifles and commanded him to keep bad ammunition out of his men’s hands. Then he sent 281 copies of his letter to officers in England and France. Alderson responded by asking brigade, battalion, and company commanders to report on the rifle. Two senior officers sent the request to Carson; one of them, Turner, complained that “action is being delayed too long as regards Alderson.” Alderson’s concerns would nonetheless be sustained in May, when Haig recommended to the War Office that the Canadian divisions be rearmed with the Lee-Enfield. Turner had another reason to resent his superior. In a nasty battle in April, over mine craters near Saint-Eloi (Sint-Elooi), Belgium, the Germans drove one of his brigades out of positions that had been painfully gained in a British attack. Neither Turner nor the Canadian commander of the brigade involved, Huntley Douglas Brodie Ketchen, had known where their men were located and most artillery support had been misdirected. Acting on instructions from Sir Herbert Charles Onslow Plumer, Smith-Dorrien’s successor as commander of the British 2nd Army, Alderson took steps to fire Ketchen. Turner’s pledge to resign if he did led Alderson to request that Turner be removed as well. 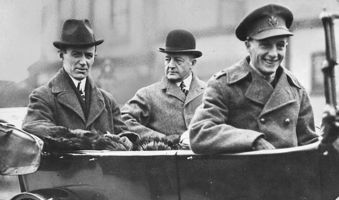 Sir William Maxwell Aitken*, another of Hughes’s agents, warned Haig (now commander-in-chief) that Canada would be furious over the removal of two senior Canadian officers. Faced with a crisis, Haig sacrificed Alderson on the promise that he would get a significant appointment in England. A feud would be worse than keeping “a couple of incompetent commanders,” he concluded. 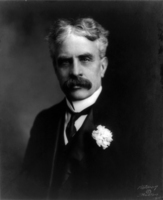 On 26 April Borden and his cabinet agreed. Hughes, Carson, and Aitken, delighted to be rid of Alderson, were content to see him replaced by another British general, Sir Julian Hedworth George Byng*. 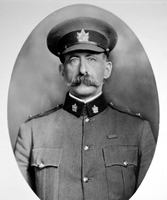 On 28 May 1916 the public learned that Alderson had been named inspector-general of Canadian forces in England and France. No one told him that the appointment was purely nominal until he asked for staff, assistants, even a car. The British insisted that he was a Canadian concern until they ended his embarrassment in September by making him an inspector of infantry. His Canadian appointment lapsed with the organization of Canada’s Ministry of Overseas Military Forces in November. In 1920 Alderson retired. Though he would become colonel commandant of his old regiment in 1921, for the most part he resumed his main recreations, yachting and hunting. He returned to the South Shropshire Hunt and joined the Royal Norfolk and Suffolk Yacht Club; in the Times in April 1927 he complained, as commodore of the Broads Cruising Association, that its training for boys was menaced by the attractions of the automobile and motorcycle. Alderson died of a heart attack in December and was buried at Chesterton. “He was an Englishman of a fine type,” claimed the Times, “and the affection which he inspired in all who knew him was great.” In two wars, Canadians able to appreciate an energetic, conscientious English officer could echo that affection. At a Canadian dressing station in January 1916, a diarist described the “indefatigable” Alderson as a “kind, gentle, little man” who “spoke to the patients one by one, with a pleasant enquiry or a bit of banter for each.” A decent, honourable, unimaginative man, he had been more faithful to the interests of Canadian soldiers than their own minister. “Canadian politics,” Alderson had confessed to his friend Hutton in 1915, “have been too strong for all of us.” They ended his career. In addition to the publications mentioned in the biography, Alderson is the author of The counter-attack (London, ) and Lessons from 100 notes made in peace and war (London, ). British Library (London), Add. mss 50088 (Hutton papers). Church of Jesus Christ of Latter-day Saints, Geneal. Soc., International geneal. index. General Register Office (Southport, Eng. ), Reg. of marriages, Brackley (Northampton), 5 May 1886. NA, MG 26, H, 22813–14, 31777; RG 9, III, 29, file 8-1-28. Times (London), 14 Jan. 1916, 15 Dec. 1927. [J.] B. Burke, A genealogical and heraldic history of the peerage and baronetage . . . , ed. A. P. Burke (80th ed., London, 1921). DNB. A. F. Duguid, Official history of the Canadian forces in the Great War, 1914–1919 (only 1v. in 2 pts. [1914–September 1915] was published, Ottawa, 1938), 1, pt.2, app.120: 18. G.B., War Office, The official army list (London), 1881–1921. 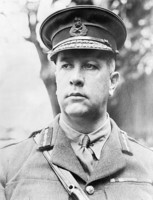 W. A. Griesbach, “Lieut.-Gen. Sir Edwin Alderson, k.c.b., a brave commander who was sacrificed to the Ross Rifle,” Khaki Call ([Toronto]), February 1928. Hart’s annual army list . . . (London), 1881–1921. Andrew Macphail, Official history of the Canadian forces in the Great War, 1914–19: the medical services (Ottawa, 1925). Carman Miller, Painting the map red: Canada and the South African War, 1899–1902 (Montreal and Kingston, Ont., 1993). Desmond Morton, A peculiar kind of politics: Canada’s Overseas Ministry in the First World War (Toronto, 1982). Nicholson, CEF. Desmond Morton, “ALDERSON, Sir EDWIN ALFRED HERVEY,” in Dictionary of Canadian Biography, vol. 15, University of Toronto/Université Laval, 2003–, accessed April 22, 2019, http://www.biographi.ca/en/bio/alderson_edwin_alfred_hervey_15E.html.